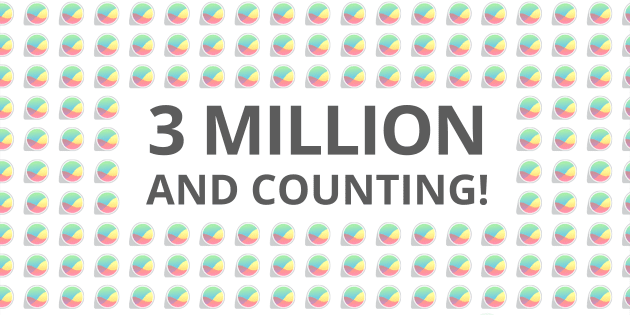 Today we’re excited to announce that over 3 million people have tried GlassWire! We’d like to thank all the GlassWire users who told their friends and shared GlassWire online so other people could learn about us. Without your sharing, help, support, feedback, and bug reports we wouldn’t be here. We hope you’ll continue using GlassWire, sharing it with others, and sending in reports so we can continue to improve and grow. We’re also happy to announce our GlassWire 1.2.64b update that was released this morning. This software update has a lot of improvements and fixes due to feedback from GlassWire users in the forum, and some reports made on HackerOne. As usual please report feedback along with any problems to our helpdesk, or in the forum. Thanks again for all your help and support!